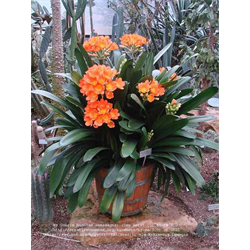 Clivia flowers have lush, strong leaves and are easily grown as a houseplant. Kaffir lily flower will not tolerate temperature below 50 degrees. Pricing is per package for Kaffir lily plants (quantity discounts apply).